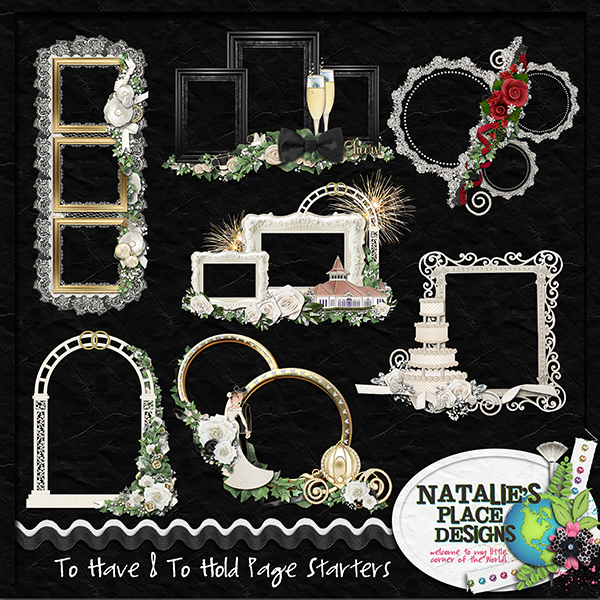 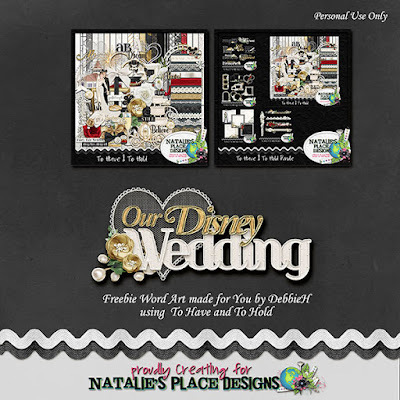 To Have and To Hold is an absolutely beautiful kit to scrap your Disney wedding (or any wedding or special event) from Natalie's Place Designs. 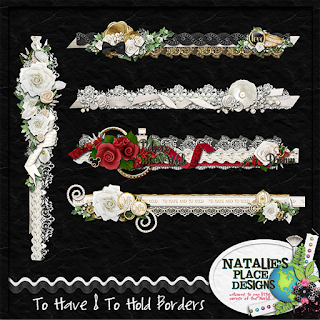 this kit contains 21 papers, 13 flowers, 2 heart elements, 2 lace elements, 9 ribbons, 2 trims, 5 frames, 3 bows, 3 borders, 4 flairs, a baby’s breath bouquet, 2 leaf elements, a gumpaste flower spray, a wedding pavillion, a bride and groom, a bride element, a groom element, 3 ring elements, 2 firework elements, 2 pearl sprays, a rhinestone flower, rhinestone leaves, rhinestone pick, a ringbox, a smooching mice element, a sequin scatter, a tulle overlay, a wedding cake, a champagne glass, a carriage, a flourish, a dot circle, 2 lace circles, 11 word tags and 4 alphas. 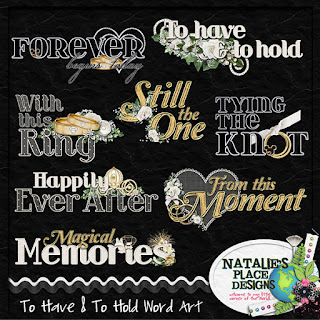 Be sure to stop by Natalie's Place Designs, Lisa Campbell Designs for additional inspiration and freebies. 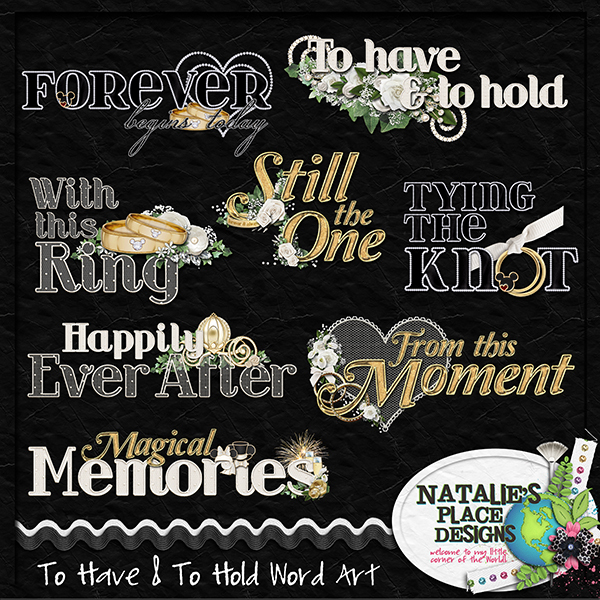 And here's my freebie for you. 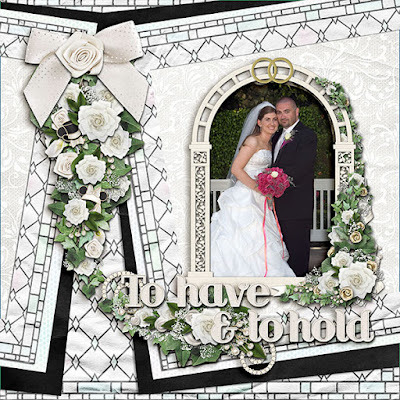 Click on the image for a direct download.